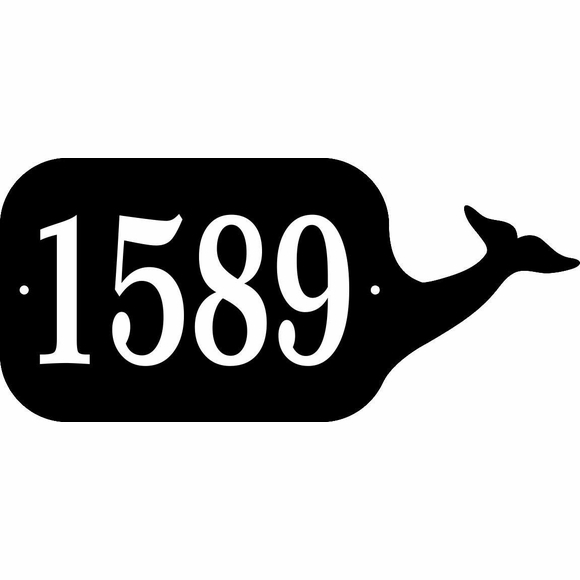 Whale Shape Address Sign - - personalized Whale silhouette address sign is approximately 11.5"W x 5.25"H. Custom made just for you. Made in the USA. Dimensions: 11.5"W x 5.25"H x 1/8".